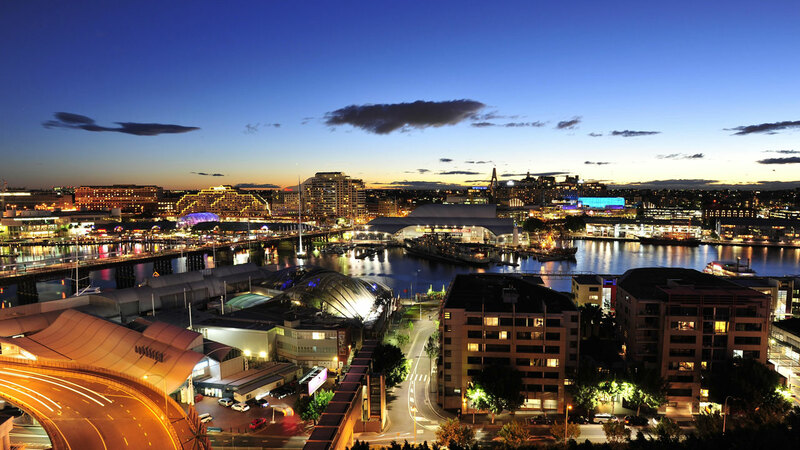 Stay longer and save with Metro Apartments on Darling Harbour. 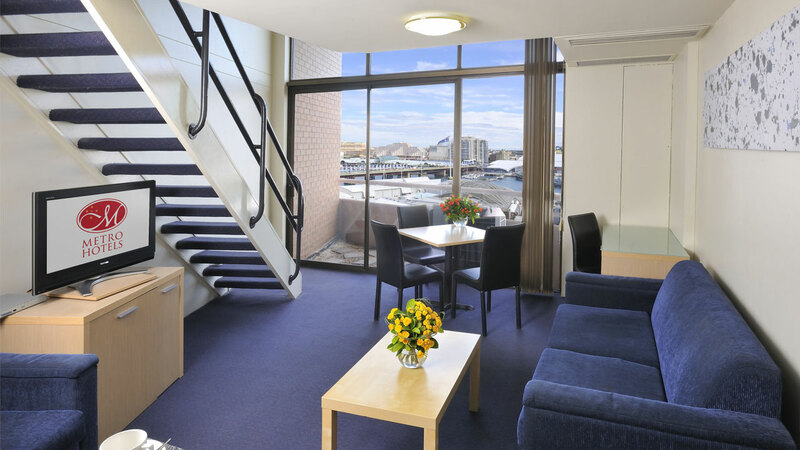 Great value serviced apartment accommodation in Darling Harbour. 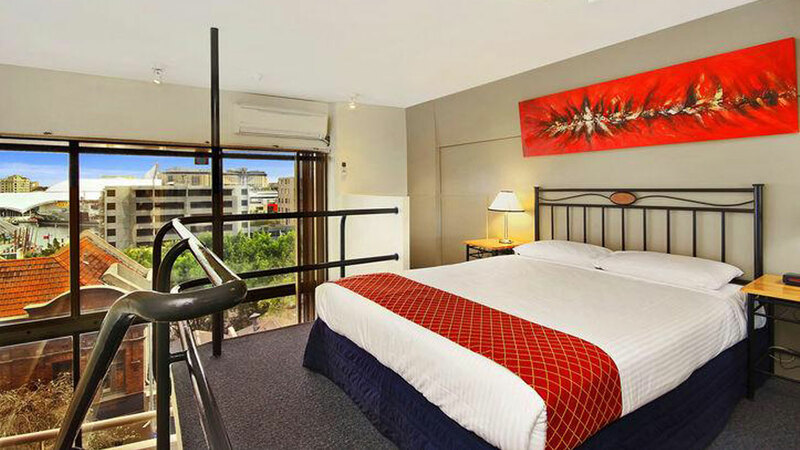 Stay 7 nights or more and save up to $20 per night. 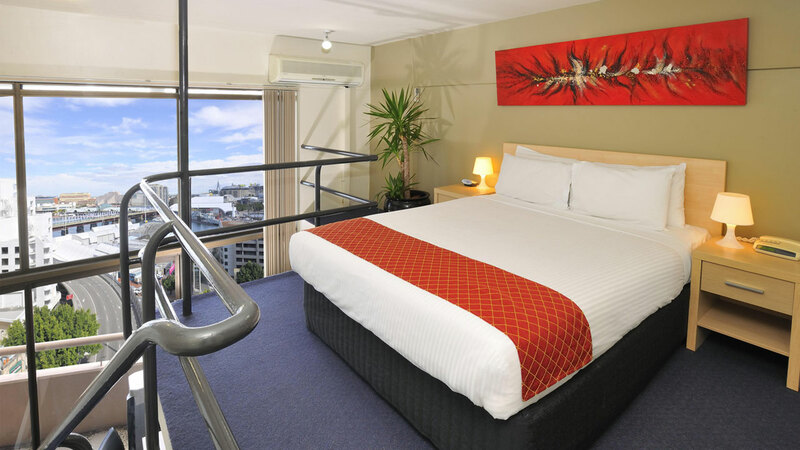 Stay 14 nights or more and save up to $30 per night. Stay 28 nights or more and save up to $50 per night. 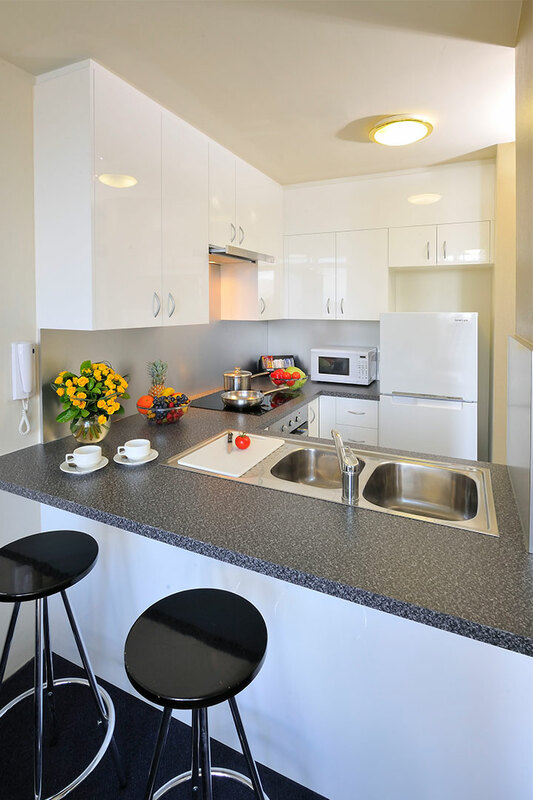 Loft style apartments equipped with kitchen and laundry facilities. Home entertainment includes complimentary WiFi and 90 Foxtel channels with IQ. 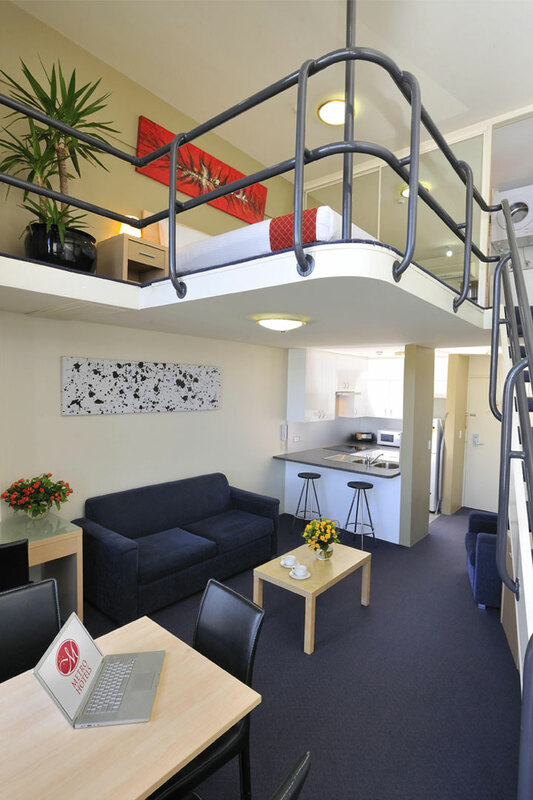 Your home away from home, ideal for extended stays. Guaranteed 1 hour early check in (at 1pm) and 1 hour late check out (at 11am). Subject to availability. Minimal servicing applies. Book now or contact us to find out more. Rate is based on a 2+ night stay. Rate is based on a 7+ night stay. Rate is based on a 3+ night stay. Rate is based on a 5+ night stay.